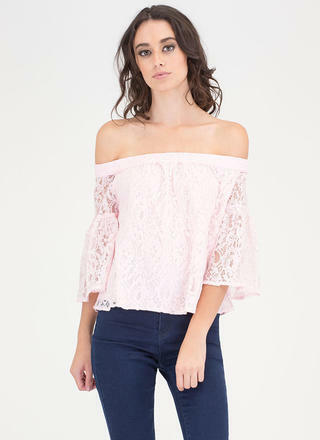 We've connected the dots and deduced that this is the top you need in your life. 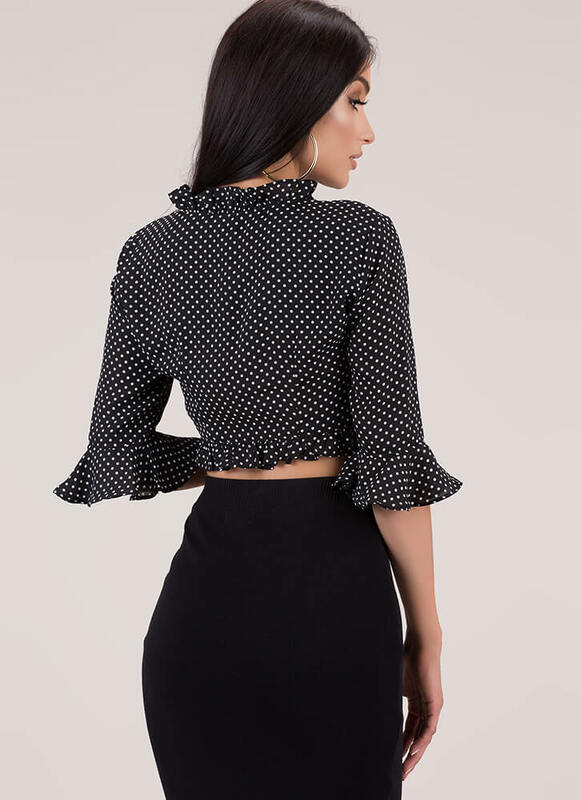 Lightweight, non-stretchy, two-toned crop top features an allover polka dot print, half-length sleeves that flare into ruffles, and a self-tie bust with frilly ruffled trim and a plunging deep-V neckline. No additional closures are included.